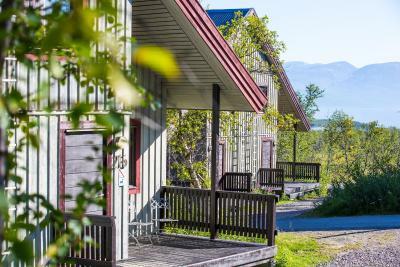 Lock in a great price for Abisko Turiststation STF – rated 8.5 by recent guests! The location for Northern Light chasers is excellent. We saw Aurora each of the three nights we were there some nights in multicolored dramatic dancing performances! The highlight was definitely the Sky Tower when we purchased tickets to ride ski lift at night to top of the Arctic Mountain and enjoyed Aurora performances all the way to the top and Irish coffees at the Sky Tower Bar when we needed a warmer. The tour started in lobby of the Touristation main building and we walked from there. 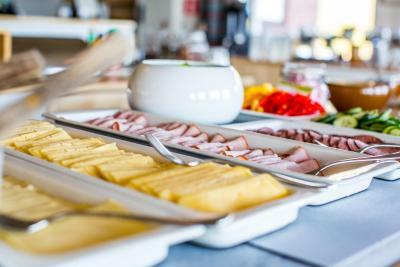 The breakfast and lunch buffets offered in the restaurant had ample selections. 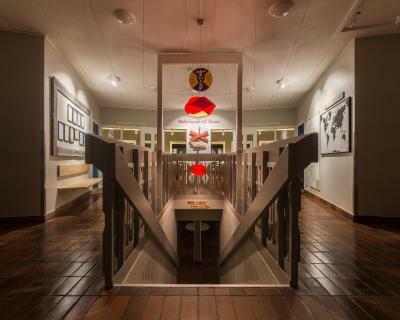 We stayed in the hostel. 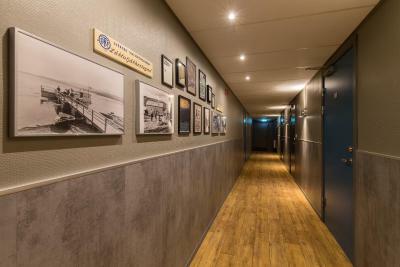 It was comfortable clean and well situated with both men’s and women’s saunas, showers and a full shared kitchen and dining area for preparing and enjoying one’s dinner with other travelers if you brought food or purchased it from limited “convenient food type” supply store there. We really really loved the cottage we stayed. It was so lovely, with living room, sofa, kitchen and dinning table downstairs and two bedroom upstairs. 24hr reception desk is always there for help. Comfortable stay ! Great location. 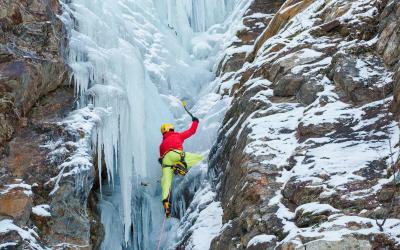 But be ready to lug your bags through the snow in winter. It was meant to be great for Aurora chasing. Unfortunately Mother Nature had not been informed. Two blizzards in 4 days put an end to any chance of seeing the elusive lights. This property is fantastic. I stayed one night, with hopes of seeing the Northern Lights. The location is right across the E10 road from the train station and bus station. The trains were not running, but the staff at the hotel did their best to keep me updated with train status and bus replacements. The property is located in a national park. There are hiking trails everywhere. I walked down to the frozen lake. It was gorgeous. I had one dinner and one breakfast at the hotel. Both were delicious. 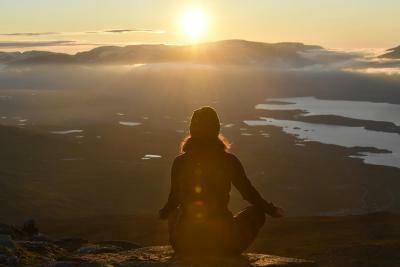 I have not stayed at any other properties in Abisko, so I cannot compare. Abisko Turiststation STF was fantastic. I would stay again and recommend it to anyone. Location was fantastic. 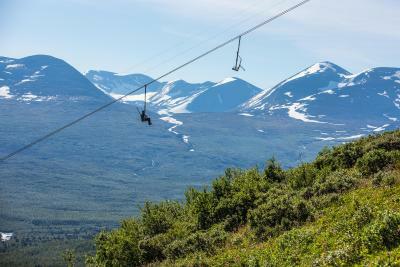 It is useful to have a car to drive to tours or Narvik. You need to hire sheets/towels (or bring them) and clean the cabin when leaving. This should all just be included in the price. 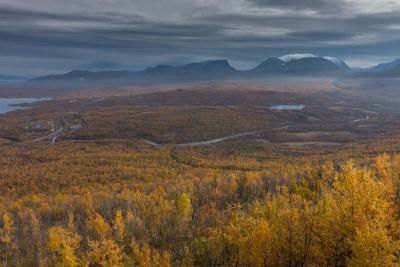 This property is in Abisko National Park, 2,300 feet from Lake Torneträsk. Hotel rooms, budget rooms as well as self-catering cottages are all offered here. 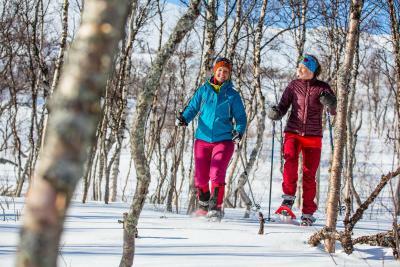 On-site services include Lapland cuisine and free sauna access. 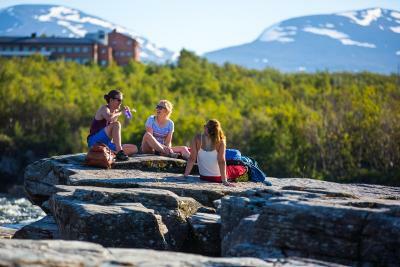 Abisko Railway Station is 5 minutes’ walk away. 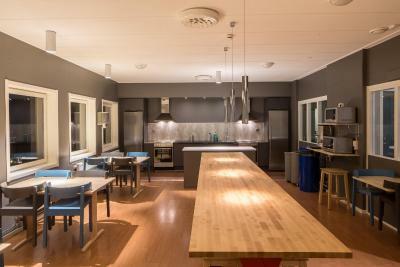 The spacious cottages at Abisko Turiststation STF feature 2 bedrooms and a combined living room and kitchen. Guest rooms have either a private bathroom or shared facilities. 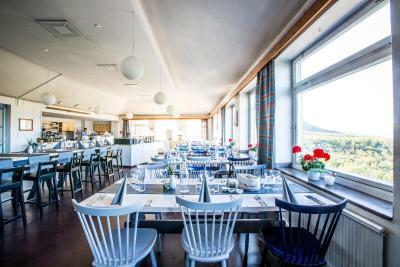 Abisko STF’s restaurant offers panoramic views of Lake Torneträsk and the surrounding mountains. The breakfast buffet includes organic options. 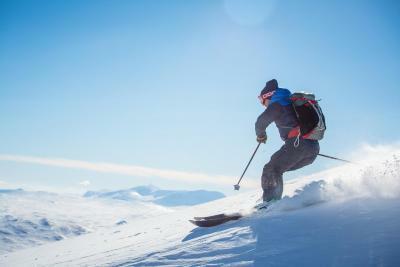 During winter, guests can enjoy after-ski drinks in the bar. 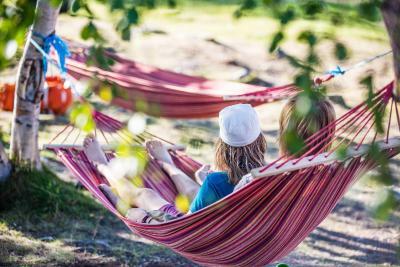 In summer, music and other entertainment is regularly arranged. All guests have free access to the fully equipped shared kitchen, laundry facilities and TV room. The shop sells freshly baked bread, drinks and snacks. Wi-Fi is free in public areas. 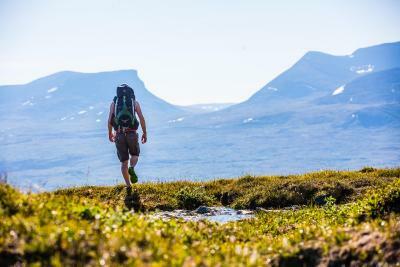 The Kungsleden hiking route runs past Abisko Turiststation. 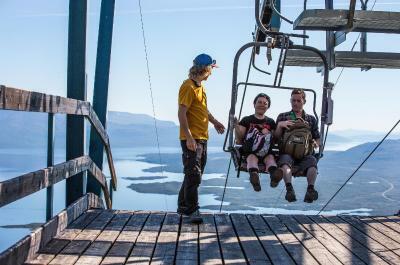 Hiking and skiing equipment as well as bicycles are available for rent on site. 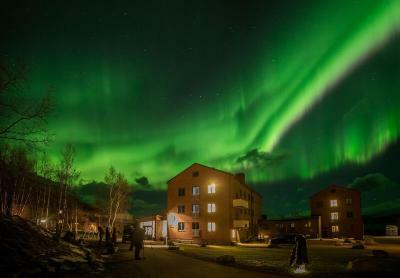 When would you like to stay at Abisko Turiststation STF? 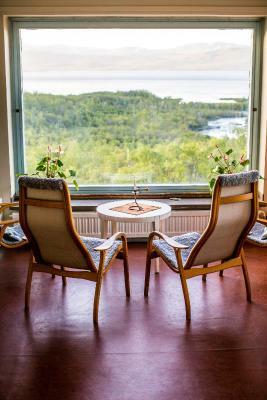 This room features views over Torneträsk, Nuolja or the National Park. This room features an open-plan kitchen/living room. Bed linen and towels are not included. Rent them on site or bring your own. Departure cleaning shall be made by the guest before check-out. This room is located in the annex building and has 6 bunk beds and a sink. This room is located in the annex building and has 4 bunk beds and a sink. 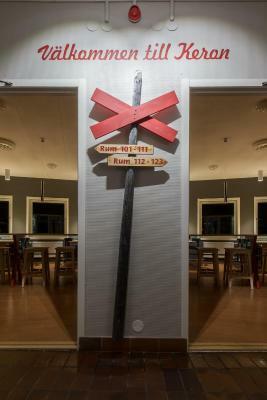 House Rules Abisko Turiststation STF takes special requests – add in the next step! Abisko Turiststation STF accepts these cards and reserves the right to temporarily hold an amount prior to arrival. Bed linen and towels are not included. 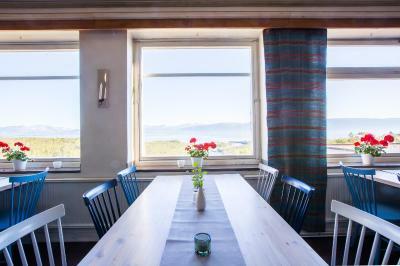 You can rent them on site for SEK 225 per person or bring your own. 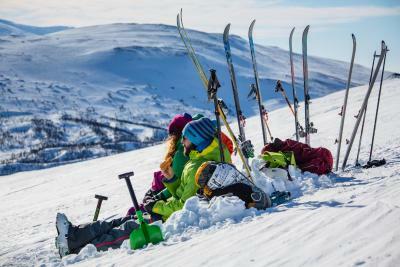 Kindly observe that ski rental must be booked in advance. Contact details are found in the booking confirmation. 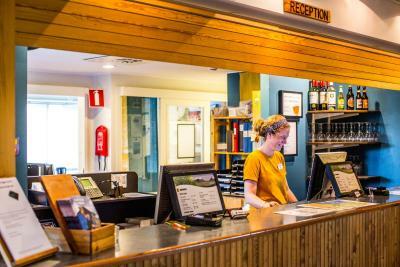 Please note that from May until mid-June and from mid-September until December, the property offers limited services and reception opening hours. The restaurant, shop and ski chairlift are closed and there are no guided hikes. Please contact the property directly for more information about check-in hours and instructions. When booking 11 or more rooms, different policies and additional supplements may apply. The room we were in was a bit tired, a bit of flaking paint, bit of rough wallpaper. But this was offset by the amazing location. That is what we were happy to pay for. Location, staff. Few minutes walk from railway station, very helpful staff. Warm. Just walk out the door and you are the beautiful national park. Great breakfast. Variety, delicious fresh bread and yummy bacon. Stayed on hotel part, so got breakfast, but had access to hostel kitchen in another building. Very well equipped and clean. A ski locker room would be good, but was no problem taking skis into hotel room. Terrific buffet breakfast hot and cold options. 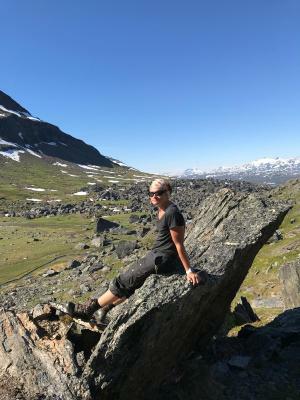 Fantastic location by start of Kungsleden and other mountain trails. The bed is squeaking and breakfast is the same all day. The price is too expensive for what the room is according to Swedish standards. The food at the restaurant was pretty good but too expensive. The mattresses can be more comfortable. One additional WC would be great WiFi facility should have been available in cottages. Room location was excellent. The view was awesome. Very fortunate to witness the northern lights from the room. The restaurant dinner prices were cost prohibitive for us to do every night and there were no other local options in winter months anyway. It would have been great if there was a soup and salad only option priced reasonably at dinner time which could either serve as an addition to one’s dinner per pre-fixed dinner menu, or provide a lighter less costly dinner meal option. The dining area is lovely and the food we had was delicious. Since Abisko Touristation Hostel is such a special destination site where adult hikers, skiers, and outdoor lovers are drawn, perhaps the establishment would consider constructing a more basic hostel to accommodate young adult and teenage groups or ensure these groups are only allowed to stay under supervised multi adult presence and fined if reports are received for disturbing the peace for the other travelers at the hostel. During our stay in the hostel, there were very large groups of young people who stayed one or two nights while we were there and basically took over the environment. Their seemingly unsupervised presence created a loud college party like atmosphere long after the established 11pm quiet time and they would fill the kitchen dining room area from evening thru wee hours and have coed large groups in the saunas. We walked over and reported what was going on after midnight at the hostel and management did respond right away and came over and laid down the law. It was quiet for about 30 minutes after and then the ruckus began again. Adults supervising group clearly took their role as optional. 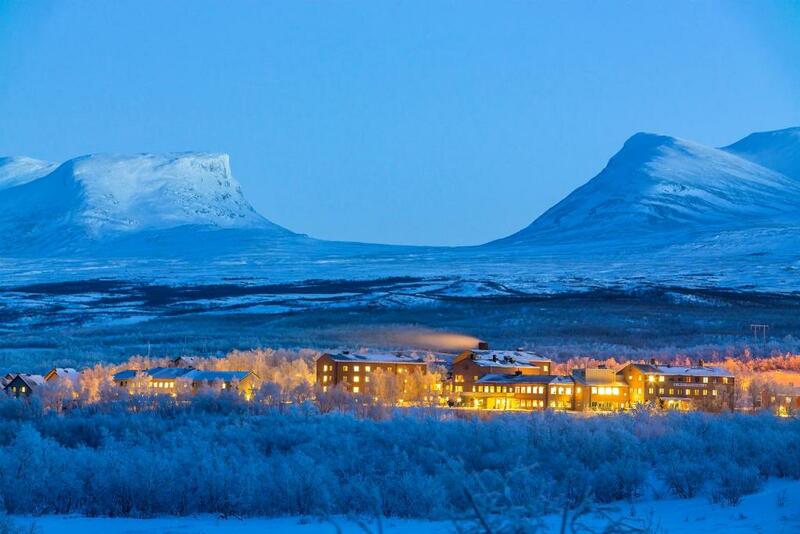 Abisko Touristation remains a GREAT CHOICE in a winter wonderland setting in Abisko. Limited selection of food at restaurants. 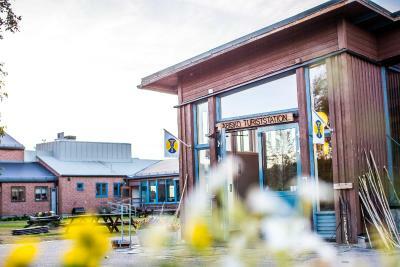 Very friendly staff , beautiful environment and many choices of activities. Difficult to pull our bags to the cottage because of heavy snow. Need some transport to send our luggage to the cottage. Only issue is that there was no food availability in the restaurant except for scheduled hours. Travellers arrive at all times , so would have been nice if they had a restricted food menu for "off-hours". Lunch seemed to be hit-or-miss with quality - it is a good deal, but the food was not great the one day I tried it. 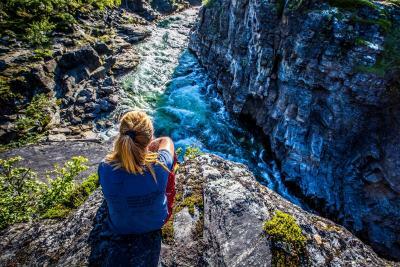 Excellent location in the national park. Room was basic but clean and comfortable. 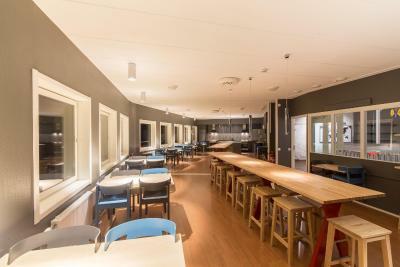 There are hotel rooms in the main building and another building with a hostel - I stayed in the hotel section, but would stay in the hostel in the future - cheaper, and with access to a kitchen. Breakfast was good, although I have had better elsewhere in Sweden. Room had a kettle and tea/coffee/hot chocolate making supplies - much appreciated. 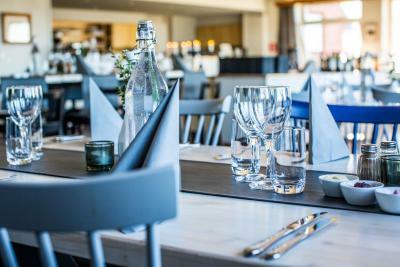 The restaurant is really good and you will definitely have a nice experience with the 2 course menu, everything is prepared to perfection. 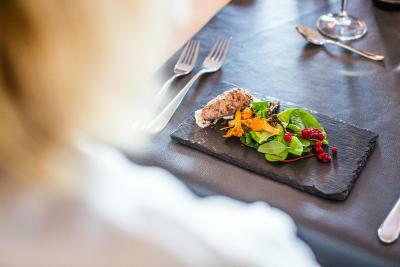 The only downside is quite expensive (as any gourmet restaurant) and there is no other restaurant nearby, so if you are staying 4 days like I did it you should account for €300 extra for the couple. It would be nice to have also another option for a simple dinner for some of the nights like a soup and sandwich. 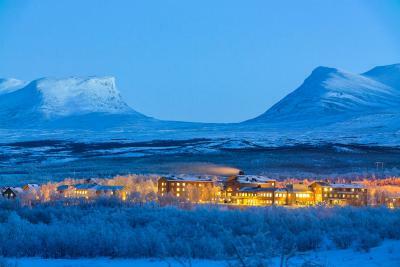 The hotel is located at Abisko National Park and it’s absolutely beautiful. They also have a store to rent outdoor sports gear, skiing boots, etc The breakfast is amazing and the reception is open 24/7. The staff is friendly and helpful. 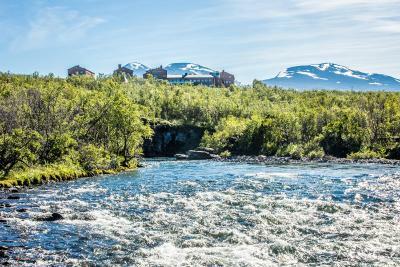 It’s a great hotel and if you are going to Abisko you should stay here! The WIFI is so bad, can’t even load an instagram video. The whole room was just simple af. Breakfast wasn’t good enough. Lunch and super were sooo pricey but that’s the only choice you got unless u want to go rly far to a restaurant.didnt see the northern light. Room was cold. Everything is booked.